How do you generally communicate? Talk first, listen after? Listen first, then talk? or some variation of both? 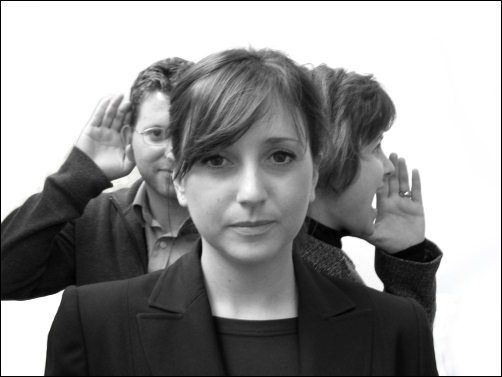 Sometimes, we think we are communicating with others when, infact, we are listening to the beat of our own drum, making up assumptions based on incomplete information, or blindly following a line of discussion to the bottom of the sea. When we take time to communicate, we not only respond to matters directed at us, but we ask questions, listen attentively and then respond accurately. The visitor on the boat didn’t even care to ask; How did you learn to walk on water? How often do we engage in similar behavior? We might jump to conclusions or assume that actions taken by X mean Y. Even when a situation appears clear and obvious, it might not confirm what we think anyway. His wife sat at the bedside. “No,” he insisted, “I want to die in peace. “I know, I know,” she replied. “Now just rest and let the poison work. Perception is reality but not always fact. As Tony Robbins explains in the quote above, we all perceive the world differently and therefore, we must take that difference into consideration when we communicate with each other. How many times have you had an exchange with a friend about getting together? What follows the statement? Right, they usually ask follow up questions to ensure they have all the facts about meeting someplace … Sometimes, depending on the tone in which the exchange was made, there might be no further discussion because either the friends don’t plan to meet soon, or know where they always meet. But we should never assume we know or sadly, we’d be like the dying man above… More below! A thief was caught after stealing some paintings from the Louvre in Paris, when his getaway van ran out of fuel. Given bail at his first hearing, a reporter asked him on the steps of the courthouse how he forgot such a vital part of his plan. When we listen attentively to each other, we might pick up cues that help us understand a situation or, in the case of the thief above, we might understand what he means even when he substitutes the name of a great master to explain his reason for getting caught. Communication matters to all of us but, until we truly listen without preconceived ideas or judgements, we will continue to hear only what we wish to believe… and that is not communication. Have a Great Day! Positive Motivation Tip: A touch of humor can help us communicate better, but we still have to listen and ask pertinent questions. the 1st photo is hilarious. 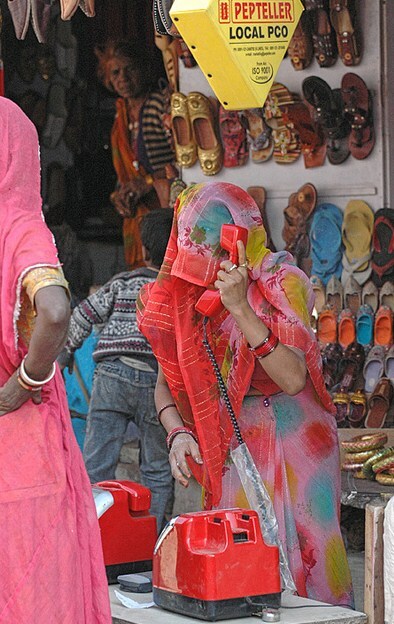 Do you listen better or talk louder with such a BIG PHONE? Very funny, Elizabeth – thanks. Wow. This is most timely, bearing in mind the huge racket that broke out in our Parliament this week, with our political representatives shrieking and yelling at each other. It ended with a walkout by Opposition members. NOBODY was listening to anyone else. It was an exercise in lack of communication. To the horrified Jamaican public (we were very upset by this exhibition) they communicated nothing either – except that they have no interest in dealing with the affairs of the people… I used to work in communications and of course I know that that “illusion” that Mr. Shaw spoke about exists! Dear Elizabeth, this is the best yet, so well written, with perfect photos. Best of all, I love the way you illustrate your point with stories. It reminds me of a really good book, Plato and and a Platypus Walk Into a Bar. LOL – I LOVE the Daffy Duck (is it?) I should steal that!!! Communication is so simply and yet so very difficult. It’s so easy to get stuck in our own mindset and lose the reciprocity of communication. I think the quote by Anthony Robbins says it all. Communication for me is to accept that I don’t have the answers even when I think I do. I love that Bernard Shaw quote! I love these jokes! Please may I use them? 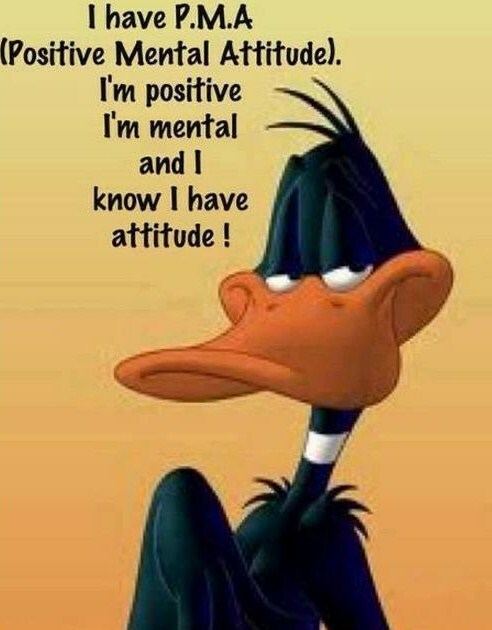 Daffy Duck is SO me today! Thanks so much for this communication events humor posting. Great post, Elizabeth. I love all the jokes! This was a delight to read, Elizabeth! The joke about the poisoned dying man who makes a deathbed confession, made me chuckle out loud. Being hearing impaired I communicate by watching body language and keeping my mind still. I find if I am in my head while listenening, I will “hear” less.